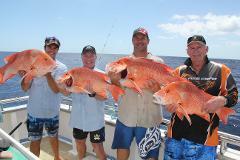 Join one of our scheduled trips on this 6 Day reef and shelf fishing adventure. 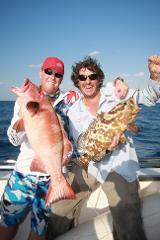 Join one of our scheduled trips on this 5 Day reef and shelf fishing trip. 7 Day reef and shelf. 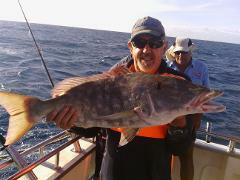 3 day and 3 night reef trip. These trips go out to around 70 nautical miles. 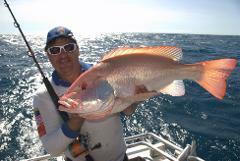 We start fishing at around 40 Nm and work our way out wider and back. 5 Day reef and shelf. These trips go out to around 70 nautical miles. 5 Day reef and shelf. 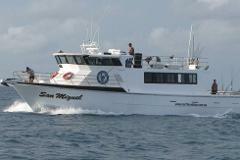 4 day and 3 night reef trip. These trips go out to around 70 nautical miles. We start fishing at around 40 Nm and work our way out wider and back.